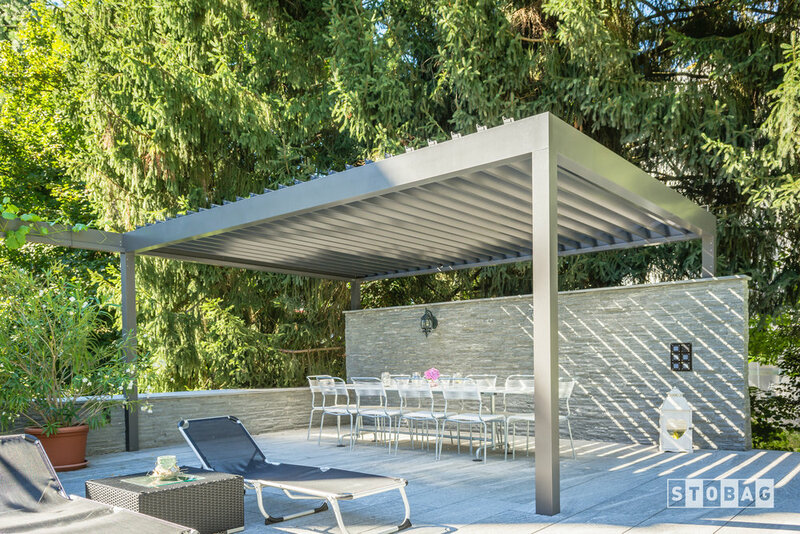 THE SOLID LOUVERED ALUMINUM ROOF ON THE BAVONA HARDTOP PERGOLA IS DESIGNED TO LAST A LIFETIME. As a bio-climatic canopy, the BAVONA Hardtop provides perfect protection from sun and rain with variably inclining aluminum louvers. 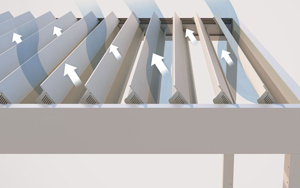 The natural air circulation through the louvers acts like an environmentally-friendly air-conditioning system. Relax in the fresh air and enjoy the comfort of reliable sun and weather protection and experience the interplay of light and shade. 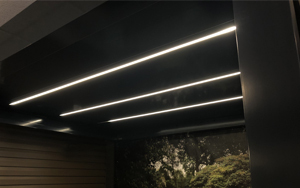 The design of the BAVONA pergola range impresses through its cubic design style and the sophistically-integrated technology. Each BAVONA pergola is tailor-made, can be colour-matched to your individual requirements and equipped with various options.